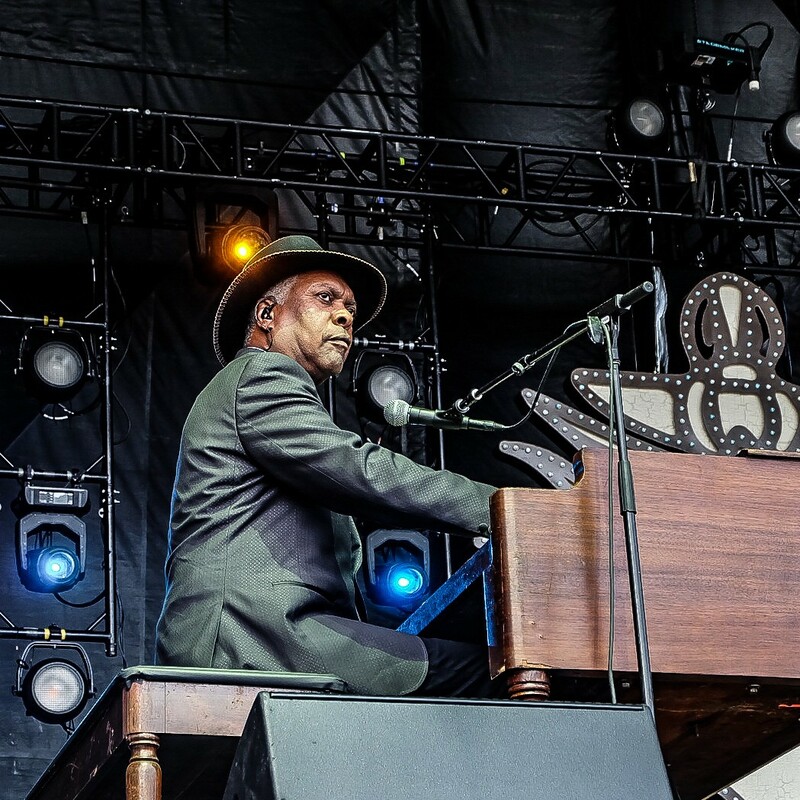 Booker T. Jones at MemphoFest Saturday. 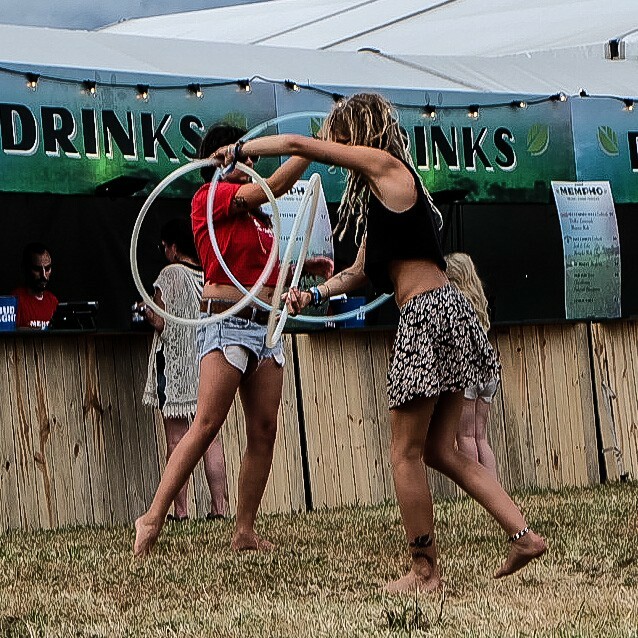 Saturday afternoon began with anticipation as curious music lovers trickled in to the brand spanking new MemphoFest on the expansive grounds of Shelby Farms. The day before was the first day of what organizers expect to be the first of many annual festivals, and it was blessed with good attendance, pleasant weather, and a well-organized operation. By mid-afternoon Saturday, the crowd flow continued to increase, coming to sample two stages of sounds, including bluegrass by Devil Train, no-nonsense rock by Hard Working Americans, and the funk/steel guitar power of Robert Randolph and the Family Band, who did a tribute to the victims of the Las Vegas tragedy. 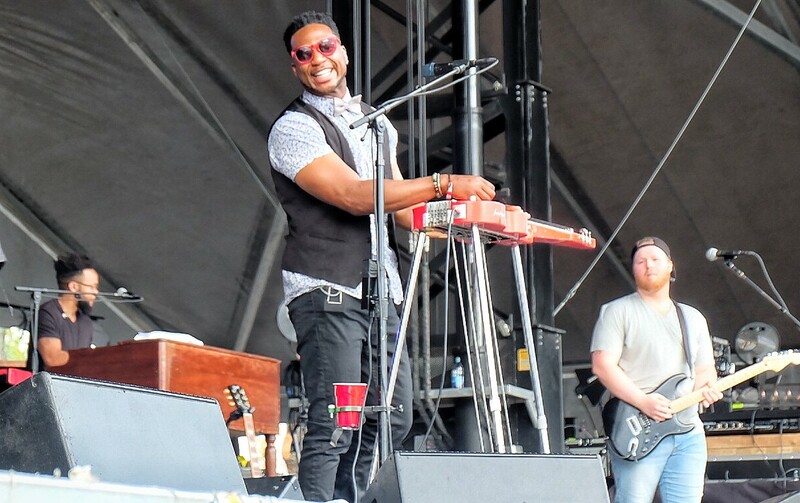 Robert Randolph on the First Tennessee Main Stage at MemphoFest Saturday. By the time Booker T. Jones settled behind his keyboard around 530 p.m., the mellow crowd was ready to soak up some Stax-flavored tunes delivered by first rate performers backing up the man who brought the world the MGs. While the tunes of Booker T. and the MGs are ingrained in pop culture consciousness, Jones still wants to scratch that creative itch. The 1969 hit "Time is Tight" was on the MemphoFest playlist, but the very different version Saturday echoed one Jones presented five years ago at a concert with the late, lamented Opus One ensemble from the Memphis Symphony Orchestra. It began with a slow, gorgeous, and thoughtful extended prelude far different from the East McLemore original. Eventually it morphed into the recognizable hit we remember, backed at MemphoFest by a superb band, even as it was backed by an orchestra in 2012. Next on the First Tennessee Main Stage was Steve Cropper, the only other surviving MG, who did a number with Jones and then played on with his band, including some tunes with fellow Stax star Eddie Floyd. Other bands at MemphoFest included Anderson .Paak & The Free Nationals, Jason Isbell and the 400 Unit, Chinese Embassy Dub Connection, Objekt 12, and Marcella and Her Lovers. Friday's lineup included Southern Avenue, Dead Soldiers, Star & Micey and Cage the Elephant. Diego Winegardner, the festival’s founder and the CEO of Big River Presents, which is putting on the event, was in high cotton about the way the festival was going. Discussions about doing a fall music festival at Shelby Farms got underway in earnest only about nine months ago and went into high gear in April. He says there were no surprises, due in large part to painstaking planning with Jen Andrews, executive director of the Shelby Farms Park Conservancy. Security, parking, production values, and food were well thought out, he says, and of course it was nice of the weather to cooperate (rain was forecast for Saturday; didn't happen). Paul Chandler, executive director of the Germantown Performing Arts Center, was in on the creation of MemphoFest, bringing people together. 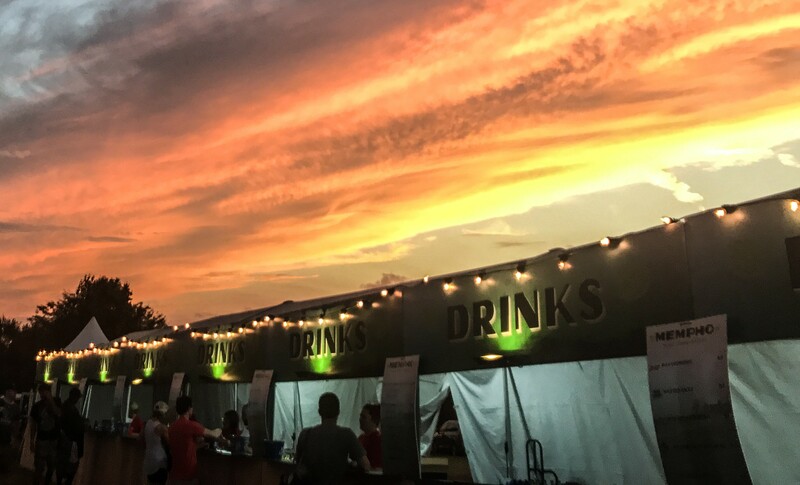 As he looked over Saturday's crowd from the Super VIP tent, he remarked that, "There's a sense of happiness and calm here, even with a band rocking out on stage."